This is Josh Tippett, I met you at the training seminar last weekend (Jan 2011 seminar). I just wanted to shoot you an email to say thank you! I had a great time at the seminar, and definitely learned a lot. I have taken everything you and your team of experts taught me back with me and I am ready to go full steam ahead with my business. I was overly impressed with the professionalism of your seminar, and the in depth training provided. I will certainly stay in touch with you guys, and will be making a purchase here soon. I guarantee you I will be one of Detail King’s success stories once my business kicks off this spring. Auto Detailing Training Seminars conducted by Detail King Auto Detailing Training Institute is a Private Licensed Training School which curriculum has been approved by the State Of PA Board Of Education. We are the only state board of education approved school exclusively for auto detailing in the country. Over the last 17 years Detail King has help change the lives of many individuals from many walks of life. Our auto detailing training certification provides the industry’s most comprehensive, auto detailing and auto reconditioning hands-on training programs, seminars and classes available anywhere. Whether you are a seasoned veteran auto detailer who wants to take your detailing business to the next level or a budding entrepreneur just starting out, auto detailing training at Detail King Auto Detailing Training Institute will provide the necessary skills needed to operate a successful and profitable auto detailing business. Watch Our “Make Big Money Detailing Cars” Video. Nick Vacco, Detail King’s CEO & Founder and Director of the Training Institute, has owned and operated his own auto detailing business, after-market installation center, express lube and detail center, mobile auto detailing business and limousine company. Nick brings 30 years of knowledge to the table and shares his knowledge with our students to get them on the right track for success. Nick has mentored hundreds of students that have graduated from our detailing school and has helped them achieve their goals of becoming a successful auto detailing business owner. Check out our Student Testimonials to see what many of our recent graduates are saying about our training programs. Here we grow again, see our new, bigger and better Detail King Class Room where we hold our classes for the “business day” training. Detail King Auto Detailing Training Institute now accepts educational benefits for approved Veterans. Learn More. We have individuals from all walks of life enroll in our auto detailing training courses. Many start out part-time while they still are employed to supplement their income and gain invaluable experience so someday they can be independent and control their own destiny. We also have students that attend our detailing classes that jump into this opportunity feet first and operate their auto detailing business or mobile detailing business full-time. The students that attend our classes are very diverse and come from all walks of life. Housewives, retired individuals, former military people, recent high school and college graduates, business executives, car wash owners, car dealership principles, auto repair shop owners, body shop owners, individuals who have recently lost their jobs and have a passion for clean cars, the list goes on and on! The opportunity to learn this trade and to own and operate your own profitable auto detailing business or mobile detailing business can be extremely rewarding and very lucrative. Our auto detailing training programs can also benefit individuals that have career goals for being employed as a professional detailing technician. Detail King is totally committed to providing our students with an experience that will far exceed the student’s highest expectations! The student will learn the “business side” of this opportunity which is just as important as the actual hands-on component of the training program. Some of the components of the first day of the detailing seminar include; Developing a Business Plan, New Business Start-Up, Prospecting, Developing a Marketing Plan, Costs and Profit Margins, Phone Protocol, Advertising Online, Social Media, and Up-Selling Customers. Our auto detailing training will provide you with the tricks, tips and secrets that the pros have acquired enabling you to work more proficiently. Our auto detailing training is for both mobile auto detailing and fixed detail shop operators. Detail King Auto Detailing Training Institute is committed to providing the education and training needed that is critical to building a successful auto detailing business or career for today and far beyond. The auto appearance industry is seeing some drastic changes today within the automotive industry in general. Consumers are holding onto their vehicles much longer than ever before and understand the importance of keeping the appearance cosmetically maintained and protected. They are seeking-out trained and certified auto detailing professionals who can keep their vehicles looking great and surfaces protected year-round. You will be providing specialized auto detailing services to individual’s vehicles that expect superior results. Our instruction, training programs and on-going coaching and mentoring will keep you on top of your game and well ahead of your competition. Your goal should be the same as ours is – To Be the Very Best Of the Best! We will help you achieve this goal by enrolling in one of our auto detailing training programs. Watch and listen to what our graduates are saying about our detailing training programs, many of these students have both recently graduated and graduated over the last few years. 1. We are a state licensed school – our programs are approved by the PA Board Of Education, ensuring the highest quality training and curriculum. 2. Our training programs are structured to teach you a great deal of information in a short period of time. 4. Hundreds of satisfied graduates living the dream of owning and operating their own successful auto detailing business. 5. 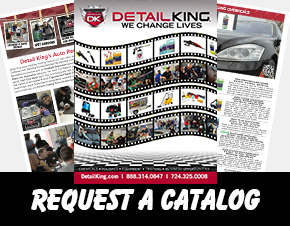 Detail King Authorized Licensee Program available to help keep you far ahead of your competition by increasing your visibility and credibility. 6. Eco friendly auto detailing equipment, supplies, procedures and product knowledge to help keep our students EPA Compliant. 7. Our certified instructors have over 100 years of combined auto detailing experience and are the very best in the industry. 8. 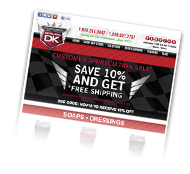 Detail King Auto Detailing Training Institute is a member and in good standing with the International Detailing Assn. 9. Extraordinary customer support and on-going technical advice available seven days a week for all graduates. 10. Several competitively priced auto detailing business start-up packages that includes superior products and equipment. Auto detailing is very labor intense, that is why it is so important to know all the steps and how to perform them in the right order and execute those steps properly. You can save a lot of time by knowing the proper methods and procedures to professionally detail a car, truck or van. We will teach you all of this at our seminars. Displayed on the 2 day and 3 day training program pages are all of the of the components of our auto detailing and auto reconditioning training classes that we will be teaching and coaching you at our seminars. Take a look at them so you can get a good indication of what you will be doing and learning.